April 2018 Novato Real Estate Market Update | Pacific Union Home Sales Report. Continuing the trend noted last month — “Novato home sales are off to a roaring start in 2018.” Over the past 6 months or so, I have been touting the “dual-market” opportunities for move-up buyers, especially if selling an entry level home in Southern Marin and moving to a more refined, high-end home in Novato. The opportunity is still there, especially if your move-up targetprice is $1.5 million or more. Even those selling entry level homes in Novato are seeing prices rise dramatically due to the fires and low inventory. As of this writing just 9 homes under $1 million are active on the MLS in Novato. There were 17 such sales in March (last month). Novato’s absorption rate remains very low at about 1.5 months. That means there are just enough homes satisfy buyer demand for about a month and a half. This is extremely favorable if you are seller. At the higher end (anything at or above $1.5 million I consider high end in Novato), there are 22 homes on the market. This price point had 4 sales in March. Call or email me for my Private Inventory List of homes not actively on the market. It may be your best chance to find a home in 2018. Novato home sales numbers in March 2018 were on rocket fuel — 30 trades total. Off-market sales continue to supplement buyer needs. The best agents in Novato rely on realtor networking to get their buyers into desirable homes. I remain thankful to my realtor colleagues and their extraordinary efforts in helping to supplement the low inventory. Novato’s 30 sales averaged $507 per foot (price per foot has inched upwards over the past year and now stands where San Rafael was about 2 years ago). It remains to be seen whether tax changes will impact sales (only one buyer I have talked with this year has expressed concerns over this). I don’t think it will because many of the things people talk about in the media (e.g., the cap on SALT deductions and mortgage interest deduction don’t matter much to Marin buyers — most pay AMT and don’t get SALT deductions to begin with and the cost of the reduced mortgage interest deduction is really limited in impact). Of course, I am not a tax advisor and you should always consult a professional regarding your individual situation. What is clear is that more and more buyers feel the “bang for the buck” in driving an extra 10 minutes from Sir Francis Drake is worth it. Novato remains the primary target for price sensitive buyers and for Southern Marin down-sizers selling their multi-million dollar homes in Tiburon, Mill Valley and Ross Valley and transferring their tax base to homes in Novato (and enjoying the better weather). Also, impacting sales, even 6 months later, are buyers generated by the tragic fires in Sonoma and Napa Counties. These very strong (often all cash) buyers tend to seek out 1-level, ranch style homes (or homes with the Master Bedroom downstairs with the main living areas), as well as the new / newer home communities mostly located in Southern Novato (www.RudnickEstates.com). This makes these two types of homes a target commodity. As noted above, numerous sales are also being conducted privately by agents outside of the MLS, via networking groups such as the Top Agent Network (TAN — Top 10% of agents) and the Marin Platinum Group (MPG — Top 100 agents). It is estimated that approximately 10-15% of homes are sold without ever hitting the market. This is now a large segment of my overall sales as it is often the only way for me to solve my clients housing problems and/or satisfy their dreams. The average sale price for Novato homes in March 2018 was $1,076,817. Southern Novato neighborhoods, such as Country Club, Pointe Marin and Hamilton Field, remain some of Marin County’s hottest neighborhoods in 2018. Good weather, an easy commute, newer home inventory and a clear bang-for-your-buck advantage relative to the rest of Marin, San Francisco and the Peninsula continue to propel sales and prices upwards. Novato home sales averaged just 31 days on market (DOM) and were about 2,234 sq. ft.
■ 53% of homes over $1 million. ■ 13 homes sold for $1 million and up. March 2018 Novato Real Estate Market Update | Pacific Union Home Sales Report. Novato home sales are off to a roaring start in 2018. As noted last month, Novato’s “dual-market” very clearly represents one of the best move-up opportunities I have ever seen. If you are thinking of selling your smaller home to trade up into something bigger or in a better neighborhood, now is maybe the best time in history and who knows how long this will last. I am seeing evidence that the dual market is starting to close up. Yet, the number of homes remains low for homes under $1 million (it is the move up homes that are evidently bumping up price). 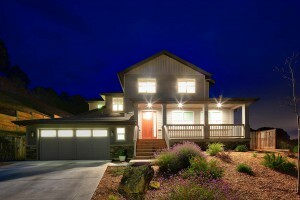 As of this writing just 8 homes under $1 million are active on the MLS in Novato. February sales of such listings totaled 17. Consistent with past months, Novato’s absorption rate is under 1 month. That means there are just enough homes satisfy buyer demand for a month. This is extremely favorable if you are seller. At the higher end (anything at or above $1.5 million I consider high end in Novato), there are 20 homes on the market. This price point had 8 sales in February. This is up significantly over historical averages which is why I said earlier that dual market opportunities may be changing. Novato home sales numbers in February 2018 were on rocket fuel — 36 home sales in February is a lot. Off-market sales continue to supplement buyer needs. The best agents in Novato rely on realtor networking to get their buyers into desirable homes. I had two such sales and am very thankful for my high level colleagues and their extraordinary efforts in helping to supplement the low inventory. Novato’s 36 sales averaged $519 per foot (price per foot has inched upwards over the past year and now stands where San Rafael was about 2 years ago). It remains to be seen whether tax changes will impact sales. I don’t think it will because many of the things people talk about in the media (e.g., the cap on SALT deductions and mortgage interest deduction don’t matter much to Marin buyers — most pay AMT and don’t get SALT deductions to begin with and the cost of the reduced mortgage interest deduction is really limited in impact). Of course, I am not a tax advisor and you should always consult a professional. What is clear is that more and more buyers feel the “bang for the buck” in driving an extra 10 minutes from Sir Francis Drake is worth it. Novato remains the target for price sensitive buyers and for Southern Marin downsizers selling their multi-million dollar homes in Tiburon, Mill Valley and Ross Valley and transferring their tax base to homes in Novato (and enjoying the better weather). Also, impacting sales as we move through the first quarter of 2018 are buyers generated by the tragic fires in Sonoma and Napa Counties. These very strong (often all cash) buyers tend to seek out 1-level, ranch style homes (or homes with the Master Bedroom downstairs with the main living areas), as well as the new / newer home communities mostly located in Southern Novato (www.RudnickEstates.com). This makes these two types of homes a target commodity. As noted above, numerous sales are also being conducted privately by agents outside of the MLS, via networking groups such as the Top Agent Network (TAN — Top 10% of agents) and the Marin Platinum Group (MPG — Top 100 agents). It is estimated that approximately 10-15% of homes are sold without ever hitting the market. This is now a large segment of my overall sales as it is often the only way for me to solve my clients housing problems and/or satisfy their dreams. The average sale price for Novato homes in Febuary 2018 was $1.24 million. 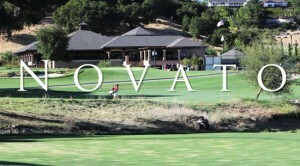 Novato. Southern Novato neighborhoods, such as Country Club, Pointe Marin and Hamilton Field, remain some of Marin County’s hottest neighborhoods in 2018. Good weather, an easy commute, newer home inventory and a clear bang-for-your-buck advantage relative to the rest of Marin, San Francisco and the Peninsula continue to propel sales and prices upwards. Novato’s February 2018 home sales averaged 71 days on market (DOM), were about 2,235 sq. ft., and averaged roughly $519 per sq. ft. Novato’s absorption rate (e.g., the number of months’ inventory of homes for sale based on last month’s sales totals) is currently about 1 month across all price points. This is an incredibly favorable environment for sellers (especially under $1 million) — balanced markets have 4-6 months of inventory. ■ 35% of homes over $1 million. ■ 19 homes sold for $1 million and up. February 2018 Novato Real Estate Market Update | Pacific Union Home Sales Report. Hello 2018! We are off to a white hot start in Novato real estate. As noted last month, Novato’s “dual-market” very clearly represents one of the best move-up opportunities we have seen in 40 years. If you are thinking of selling your smaller home to trade up into something bigger or in a better neighborhood, now is the time. Inventory is still extremely limited for (livable) homes under $1 million. There are currently just 6 such home on the MLS. January sales of homes less than $1 million in Novato totaled 11. Thus, Novato has about 15 days worth of inventory at the entry level (this is extremely favorable if you are seller). On the other hand, there are 10 homes on the market over $1.5 million with just one sale in January (clearly a strong buyers’ market). Novato home sales numbers in January 2018 were in line with expectations as few homes go into escrow in December due to the holidays and weather. In sum, we had 16 trades. Off-market sales continue to supplement buyer needs. The best agents in Novato rely on realtor networking to get their buyers into desirable homes. Novato’s 16 sales averaged $480 per foot (price per foot has remained relatively static over the past 6 months yet it has slipped at the higher price points). While tax changes are expected to impact sales, it is clear more and more buyers feel the “bang for the buck” in driving an extra 10 minutes from Sir Francis Drake is worth it and Novato remains the target for price sensitive buyers. In addition, there is a mass movement of “empty-nester” Southern Marin residents who are selling their multi-million dollar homes in Tiburon, Mill Valley and Ross Valley and transferring their tax base to downsized home in Novato. Also, impacting sales as we move through the first quarter of 2018 will be purchases related to the fires in Sonoma and Napa Counties. These very strong (often all cash) buyers tend to seek out 1-level, ranch style homes (or homes with the Master Bedroom downstairs with the main living areas), as well as the new / newer home communities mostly located in Southern Novato (www.RudnickEstates.com). This makes these two types of homes a hot commodity. As noted above, numerous sales are also being conducted privately by agents, outside of the MLS, via networking groups such as the Top Agent Network (TAN — Top 10% of agents) and the Marin Platinum Group (MPG — Top 100 agents). It is estimated that approximately 10-15% of homes are sold without ever hitting the market. The average sale price for Novato homes in January 2018 was $958,750. Novato (especially Southern Novato — neighborhoods such as Country Club, Pointe Marin and Hamilton Field) was unquestionably continue to be some of Marin County’s hottest markets in 2018 year due to its the good weather, easy commute, newer home inventory and clear bang-for-your-buck relative to the rest of Marin, San Francisco and the Peninsula. Novato’s January 2018 home sales averaged 73 days on market (DOM), were about 2,062 sq. ft., and averaged roughly $509 per sq. ft. Novato’s absorption rate (e.g., the number of months’ inventory of homes for sale based on last month’s sales totals) is currently about 7 weeks across all price points. This is an incredibly favorable environment for sellers (especially under $1 million) — balanced markets have 4-6 months of inventory. ■ 43% of homes over $1 million. ■ 5 homes sold for $1 million and up. Novato home sales numbers in December 2017 were much stronger than anticipated with a total of 35 sales. Off-market sales continue to supplement buyer needs. Top agents rely on networking to effectuate such sales. Novato’s 35 trades sold at an average price per foot of $480 (price per foot has remained relatively static over the past 6 months yet it has slipped at the higher price points). While tax changes are expected to impact sales, it is clear more and more buyers feel the “bang for the buck” in driving an extra 10 minutes from Sir Francis Drake is worth it and Novato remains the target for price sensitive buyers. I anticipate that Novato sales will likely increase in the new year as inventory is likely to increase in 2018. Likely impacting sales in 2018 will be the ongoing sales impacts related to the fires in Sonoma and Napa Counties and the continuation of “empty-nester” Southern Marin residents selling their multi-million dollar homes in Tiburon, Mill Valley and Ross Valley and transferring their tax base to downsized home in Novato. These very strong (often all cash) buyers often seek out 1-level, ranch style homes (or homes with the Master Bedroom downstairs with the main living areas), as well as the new / newer home communities mostly located in Southern Novato. This makes these two types of homes a hot commodity. As noted above, numerous sales are also being conducted privately by agents, outside of the MLS, via networking groups such as the Top Agent Network (TAN — Top 10% of agents) and the Marin Platinum Group (MPG — Top 100 agents). It is estimated that approximately 10-15% of homes are sold without ever hitting the market. The average sale price for Novato homes in December 2017 was $1,073,637. Novato (especially Southern Novato — neighborhoods such as Country Club, Pointe Marin and Hamilton Field) was unquestionably one of Marin County’s hottest markets in 2017 year due to its the good weather, easy commute and clear bang-for-your-buck. Novato’s December 2017 home sales averaged 52 days on market (DOM), were about 2,290 sq. ft., and averaged roughly $480 per sq. ft. Novato’s absorption rate (e.g., the number of months’ inventory of homes for sale based on last month’s sales totals) is currently about 3 weeks across all price points. This is incredibly seller oriented number (especially under $1 million) reflects a continuing extraordinarily strong seller market — balanced markets have 4-6 months of inventory. ■ 28% of homes over $1 million. ■ 17 homes sold for $1 million and up. December 2017 Novato Real Estate Market Update | Pacific Union Home Sales Report. The fires in the North Bay region spurred sales into Marin County, including Novato, California. Nonetheless, we are beginning to see some slow down and inventory build-up in the move up price ranges — especially for homes over $1.25 million. Yet, overall inventory levels are quite tight under $1 million. This dual market scenario makes for an excellent opportunity for move-up buyers that need to sell their current (entry level) homes. Novato home sales numbers in November 2017 were much stronger than anticipated with a total of 48 sales (this up nearly 20% from November 2016). Off-market sales continue to supplement buyer needs. Top agents rely on networking to effectuate such sales. Novato’s 48 trades sold at an average price per foot of $449 (price per foot has remained relatively static over the past 6 months yet it has slipped at the higher price points). While tax changes are expected to impact sales, it is clear more and more buyers feel the “bang for the buck” in driving an extra 10 minutes from Sir Francis Drake is worth it. 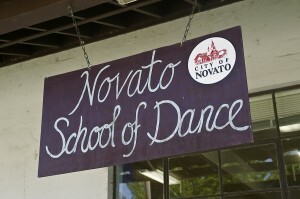 I anticipate that Novato sales will likely increase in the new year. We are also seeing large numbers of “empty-nest” Marin residents selling their multi-million dollar homes in Tiburon, Mill Valley and Ross Valley and transferring their tax base. These very strong (often all cash) buyers often seek out 1-level, ranch style homes (or homes with the Master Bedroom downstairs with the main living areas), as well as the new / newer home communities mostly located in Southern Novato. This makes these two types of homes a hot commodity. As noted above, numerous sales are also being conducted privately by agents, outside of the MLS, via networking groups such as the Top Agent Network (TAN — Top 10% of agents) and the Marin Platinum Group (MPG — Top 100 agents). It is estimated that approximately 10-15% of homes are sold without ever hitting the market. The average sale price for Novato homes in November 2017 was $937,594. Novato (especially Southern Novato) has unquestionably been one of Marin County’s hottest markets this year due to the good weather, easy commute and clear bang-for-your-buck. Novato’s November 2017 home sales averaged 47 days on market (DOM), were about 2,176 sq. ft., and averaged roughly $449 per sq. ft. Novato’s absorption rate (e.g., the number of months’ inventory of homes for sale based on last month’s sales totals) is currently less than 2 weeks. This is incredibly seller oriented number reflects an extraordinarily strong seller market (this is the lowest absorption rate level I have ever seen Novato) — balanced markets have 4-6 months of inventory. ■ 56% of homes over $1 million. March 2017 Novato Real Estate Market Update | Pacific Union Home Sales Report. With the real estate market priming for 2017, we are beginning to see some new listings arrive early in the selling season, although inventory remains incredibly tight. Novato home sales numbers in February 2017 were stronger than anticipated with a total of 26 sales — these are sales that were initiated in January 2017 which is a very slow month historically and this year had the added hindrance of constant inclement weather. Off-market sales continue to fuel a market that is starved for inventory as the top agents rely on networking to effectuate our clients desired paths into and out of their homes. February is never a particularly strong month for closings, but I anticipate seeing increased inventory in months ahead. As with most realtors in Marin County (generally) and Novato (in particular), the subtle softening in the marketplace over the past several months seems to have slowed. The market is hot in this moment for sellers. Overall, in Novato, the 26 trades sold at an average price per foot of $462 (price per foot has remained relatively static over the past 6 months). Likewise, the presence of Novato’s upper tier / luxury home market (homes over $1 million) has grown considerably over the past year — in fact, last year I added a new price band to my analysis focussing on homes in Novato priced over $1.5 million. Certainly, more and more buyers feel the “bang for the buck” in driving an extra 10 minutes from Sir Francis Drake is worth it. We are also seeing large numbers of longtime Marin residents selling their multimillion dollar homes in Tiburon, Mill Valley and Ross Valleyand transferring their tax base to new / newer homes in Novato, often focussing on ranch style homes. As noted above, numerous sales are also being conducted privately by agents, outside of the MLS, via netorking groups such as the Top Agent Network (TAN — Top 10% of agents) and the Marin Platinum Group (MPG — Top 100 agents). Generally, approximately 10-15% of homes are sold without ever hitting the market. The average sale price for Novato homes in February 2017 was $1,010,756. Novato (especially Southern Novato) has unquestionably been one of Marin County’s hottest markets this year due to the good weather, easy commute and clear bang-for-your-buck of these newer homes. Overall, Novato real estate sales in Febuary 2017 averaged 72 days on market (DOM), were about 2,356 sq. ft., and averaged roughly $462 per sq. ft. Novato’s absorption rate (e.g., the number of months’ inventory of homes for sale based on last month’s sales totals) is currently 5 weeks. This reflects a very tight market — balanced markets have 4-6 months of inventory. ■ 9 homes sold for $1 million and up. Single family homes in Rudnick Estates (a brand new home development), Pointe Marin, Marin Country Club Estates, Rush Creek, Hamilton Field, and Bel Marin Keys elicited the highest numbers of calls and showings this past month. If you would like me to run the exact numbers for your Novato neighborhood or if you have any questions about Novato’s schools or many delightful communities, just give me a call at (415) 350-9440. My name is Kyle Frazier. I am a J.D., Broker, Realtor, Certified Residential Specialist (CRS), and a Certified Luxury Home Marketing Specialist (CLHMS), Top Agent (member), Marin Platinum Group (member) with Pacific Union International Real Estate. It is always my pleasure to be of service. Note: I specialize in off-market sales of luxury homes in Marin County. If you appreciate discretion and want the BEST result, call me to discuss your situation. February 2017 Novato Real Estate Market Update | Pacific Union Home Sales Report. With the real estate market priming for 2017, we are beginning to see some new listings arrive early in the selling season, although inventory remains incredibly tight. Novato home sales numbers in January 2017 were stronger than anticipated with a total of 25 sales. Interestingly, 20% of those sales (5 in all) were done off market. We are finding more and more off market sales as agents rely on networking to help get their clients into and out of homes without the tumult of formal marketing. January is never a particularly strong month for closings as people, but perhaps we are getting a glimpse of increased inventory in months ahead. As with most realtors in Marin County (generally) and Novato (in particular), the subtle softening in the marketplace over the past several months seems to have slowed. Overall, in Novato, the 25 trades sold at an average price per foot of $429 (price per foot has remained relatively static over the past 6 months). Likewise, the presence of Novato’s upper tier / luxury home market (homes over $1 million) has grown considerably over the past year — in fact, last year I added a new price band to my analysis focussing on homes priced over $1.5 million. Certainly, more and more buyers feel the “bang for the buck” in driving an extra 10 minutes from Sir Francis Drake is worth it. We are also seeing large numbers of longtime Marin residents selling their multimillion dollar homes in Southern Marin and transferring their tax base to new / newer homes in Novato, often focussing on ranch style homes. As noted above, numerous sales are also being conducted privately by agents, outside of the MLS, via netorking groups such as the Top Agent Network (TAN — Top 10% of agents) and the Marin Platinum Group (MPG — Top 100 agents). Generally, approximately 10-15% of homes are sold without ever hitting the market. The average sale price for Novato homes in January 2017 was $876K . Novato (especially Southern Novato) has unquestionably been one of Marin County’s hottest markets this year due to the good weather, easy commute and clear bang-for-your-buck of these newer homes. Overall, Novato real estate sales in January 2017 averaged 59 days on market, were about 2,217 sq. ft., and averaged roughly $429 per sq. ft. Novato’s absorption rate (e.g., the number of months’ inventory of homes for sale based on last month’s sales totals) is currently 1 month. This reflects a very tight market — balanced markets have 4-6 months of inventory. ■ 7 homes sold for $1 million and up. September 2016 Novato Home Sales Report | Pacific Union International | Novato Real Estate Market Update. With the real estate market clearly in transition and the Summer lull in full effect, Novato home sales numbers in August 2016 were stronger than anticipated with a total of 42 sales (exactly the same number of home to sell last year in August 2015). August has never been considered a particularly strong month for sale closings as people are on vacation and seemingly have better things to do than buy and/or sell properties. As with most realtors in Marin County (generally) and Novato (in particular), I feel there is a clear softening in the market over and above what we might expect due to Summer. Many industry observers have commented on “The Shift” and its presence can certainly be felt in all but the new home and entry level markets (both of these market segments continue see buyer demand outstrip inventory). Overall, in Novato, the 42 trades sold at an average price per foot of $430 (almost exactly the same as last August). Likewise, the presence of Novato’s upper tier / luxury home market (homes over $1 million) has grown considerably over the past year — in fact, I have added a new price band to my analysis focussing on homes priced over $1.5 million. Certainly, more and more buyers feel the “bang for the buck” in driving an extra 10 minutes from Sir Francis Drake is worth it. We are also seeing large numbers of longtime Marin residents selling their multimillion dollar homes in Southern Marin and transferring their tax base to new / newer homes in Novato. We also continue to find that numerous sales are conducted privately, outside of the MLS, via netorking groups such as the Top Agent Network (TAN — Top 10% of agents) and the Marin Platinum Group (MPG — Top 100 agents). Approximately 10-15% of homes are sold without ever hitting the market. Indeed, I sold several homes privately in 2016 at the request of sellers who value privacy and discretion. The average sale price for Novato homes in August 2016 was just under $875K . Novato (especially Southern Novato) has unquestionably been one of Marin County’s hottest markets this year due to the good weather, easy commute and bang-for-your-buck. Overall, Novato real estate sales in August 2016 averaged 50 days on market, were about 2,036 sq. ft., and averaged roughly $437 per sq. ft. Novato’s absorption rate (e.g., the number of months’ inventory of homes for sale based on last month’s sales totals) is currently just under 2 months. This reflects a very tight market — balanced markets have 6 months of inventory. ■ 27% of homes between $1 million and $1.5 million. ■ 8 homes sold for $1 million and up. Single family homes in Rudnick Estates (a brand new home development), Pointe Marin, Marin Country Club Estates, Rush Creek, Hamilton Field, and Bel Marin Keys elicited the highest numbers of calls and showings this past month. If you would like me to run the exact numbers for your Novato neighborhood or if you have any questions about Novato’s schools or many delightful communities, just give me a call at (415) 350-9440. My name is Kyle Frazier. I am a J.D., Broker, Realtor, Certified Residential Specialist (CRS), and a Certified Luxury Home Marketing Specialist (CLHMS), Top Agent (member), Marin Platinum Group (member) with Christie’s International | Pacific Union International Real Estate. It is always my pleasure to be of service. Note: I specialize in off-market sales of luxury homes in Marin County . If you appreciate discretion and want the BEST result, call me to discuss your situation. April 2016 Novato Home Sales Report | Pacific Union International | Novato Real Estate Market Update. Novato home sales numbers in March 2016 were fairly good, falling in at 36 sales of single family homes (up from 30 in Febraury 2016). March is typically not considered a strong month of the year for home sale closings. As noted in prior months’ reports, appreciation of home values in Novato (and throughout the North Bay) continue on an upward trend with many homes having now shifted into the higher price brackets. Indeed, this phenomenon has required me to adjust my monthly report pricing analyses throughout Marin County. Overall, in Novato, the 36 trades sold at an average price per foot of $437. Likewise, Novato’s upper tier / luxury home market (homes over $1 million) has grown considerably over the past year. We are finding more and more buyers feel the “bang for the buck” in driving an extra 10 minutes from Sir Francis Drake is worth it, along with longtime Marin residents selling their multimillion dollar homes in Southern Marin and transferring their tax base to a newer home in Novato. We also continue to see numerous sales conducted privately, outside of the MLS, via netorking groups such as the Top Agent Network (top 10% of agents) and the Marin Platinum Group (Top 1% of agents). It is believed that approximately 10-15% of homes are sold without ever hitting the market. Indeed, I sold several homes privately in 2015 and have seen this trend continue into 2016. The average sale price for Novato homes in March 2016 was $925K . Novato (especially Southern Novato) has unquestionably started off 2016 as one of Marin County’s hottest markets. Overall, Novato real estate sales in March 2016 averaged 61 days on market, were about 2,273 sq. ft., and averaged roughly $437 per sq. ft. Novato’s absorption rate (e.g., the number of months’ inventory of homes for sale based on last month’s sales totals) is currently just over 1-month. This reflects an extremely tight market — balanced markets have 6 months worth of inventory. ■ 58% of homes between $1 million and up.